I started this blog with no expectations and what has happened as a result of this blog has blown my mind in terms of what I thought might be possible. I had no idea my blog would grow to what it has grown to be. This work has led to being published in a journal, my work was commissioned for a book that has yet to be published, my interview on Madness Radio can be heard here, also I’ve been interviewed by a well-reputed journalist for inclusion in an upcoming book about the destructive nature of psychiatric medicine. This blog has also spawned a social network that is booming. I have also been promised a paid job with an organization doing similar work as to what I already do on this blog, it will be a continuation and deepening of my work. I have met some of the most awesome human beings I’ve met in my life time. All this has happened while I’ve gotten physically sicker and sicker, and yet mentally and intellectually I am in the prime of my life it seems. I have the great luxury to follow my heart and passion in my work and daily occupation. I am profoundly grateful that as my physical disability has deepened my work has matured and born fruit. This is a surreal time for me. It is in the truest sense for me the best of times and the worst of times. The About page which is a large collection of links to articles on recovering naturally as well as links to information about withdrawal. It is not exhaustive, but it is a great place to start or continue research in these areas. The Spirituality page is a work in progress. I’d really like to add a bibliography, but for now it’s a collection of inspirational posts I’ve published, generally this is not my original work, but may be occasionally. Lastly my Personal page is my own journey. I have not included all posts about my journey but only the more significant. Really all these pages are routinely added to as the blog grows, I add appropriate content to all these pages. While this blog could, indeed, be better organized, the tabs allow one to focus on several areas of research I’ve concentrated on and I sometimes feel disappointed that so much of that content gets ignored as people look towards my daily updates and don’t delve into my archives at all. I have a body of work here, some of which is essentially timeless and I’ve collected much of these pieces on the tab pages. My about page concentrates on alternatives and drug withdrawal. Hopefully we will in time learn much better and more efficient ways to safely withdraw from drugs, but for now this site remains one of the best resources anywhere in that it links to so many different resources. Those resources are on the about page. So today I want to remind people that this blog is a resource and I hope you will use it and let others know that it is here as a resource as well. 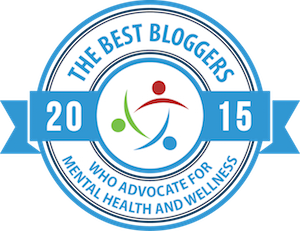 This world is a better place because of your blog. There are people who have no idea where to start….none. Your blog gives them so much in the area of psych drug withdrawal….and, I don’t think there’s another place anywhere in the world that puts it together the way you have….. The recovery stories allow people – many, for the first-time to believe they can recover….What a gift – to pass this ideal on to someone….what a life-saving, sprit-freeing gift! And, of course, the newly-organized, and open forum for people to share in their journey….The Network – a place where people can open-up and express how their doing…support each other…cheer each other on…..
You’ve done a lot in two years Gianna…. You helped make this world a better place in two years! Happy Anniversary Gianna, you’ve been doing great work. Cheers! Congrats on keeping it going for 2 years! Gianna… you have changed the course of my life. I always sensed that taking these meds didn’t feel right to me. Then I read some stuff and then I found your blog. On days when all I hear from others (even my fellow “mentally ill”) that all you should do is take meds, meds, meds, dejected, I come to your blog. It lifts my spirits. Thank you. Really. Congratulations and a BIG THANK YOU ! Your work here has been such a supportive source of information for all aspects of drug withdrawal! Just know how grateful we are for you! Congrats on the 2 years! While my reading only spans a number of months, the info you post is outstanding and your perspective is very realistic, very honest. Thanks for everything you do, Gianna. I ditto what everyone else has said. You truly have made a difference in how I view my health, medication, my withdrawal and the steps needed to recover. I dare say I would not be on the road to recovery if I had not met you through your blog. Congratulations and thank you! Happy anniversary, G. You’ve accomplished much here and it’s paid off. You’ve changed my life — and the lives of many others — forever. Happy anniversary to you Gianna, and thank you for making me thnk every time I take a pill. I hope hubby and the critters have a great party planned for you. Yes you have done a lot and contiunue to do great things every day. I often get warm thoughts about your efforts. I sense your blog is the beginning of a great movement. You have attracted a large number of good people. You are getting a lot of great information together. I have wanted to do some of the research you are doing, but I’m too lazy and unorganized to do it. Actually, the main reason is that I’m intimated by computers. But any way, keep up the good work. You are trully making the world a better place. there are also bloggers out there that are like-minded as well. Some of them read and leave comments others are also listed in my side-bar. In any case I’m hardly the beginning of something. I stand on the shoulders of great psychiatric survivors that have come before me and if they were not there to inspire me this blog would not have even had it’s inception. Thank god, I am not the beginning or we would have much further to go. Happy Blogiversary. I wish you only the best with your recovery endeavors just like the wise men in NA say, one day at a time. And I look forward to learning from you. What a wonderful event to celebrate! Happy Anniversary and thank-you so much for all of your hard work, and for just being so there for all of us. I’m wishing your 3rd blog year to be the most rewarding yet with abundant blessings of health and creative prosperity. 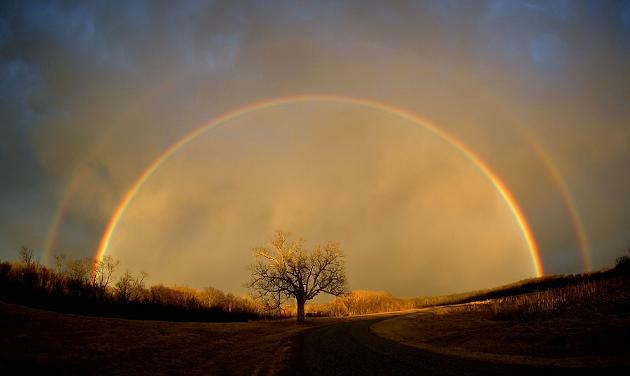 PS: Love the rainbow photo!! Congrats! Here’s to at least another 2 years! I’m glad I’ve found your blog. You are doing a great work not only for yourself but helping others. I listened intently to your interview on Madness Radio Gianna and one of the most touching things you said was toward the end when you said that we on the road to recovery from supposedly chronic impairments are ‘family’. You pour out such a lot of motherly love on us in this blog. It would not be what it is if it were just a work of intellect or scholarship. What distinguishes it is that you are at the same time scholarly, passionate, loving and spiritual, and you are a wounded healer. You have found your vocation in life and it shines through every word you write. My blog quite possibly would not exist if I hadn’t found yours. I have a sense of a developing vocation myself, even though its precise nature is as yet hazy (it may or may not involve blogging!). But your existence is one of very few on the Internet from which I draw continual inspiration. Happy Birthday Beyond Meds, and many happy returns! Happy Anniversary, baby–got you on my miiinnnndd! You and your blog have definitely had a huge impact on me. No doubt about that. Congratulations Gianna, You inspired me to start my own blog. You are a wealth of information. You know so much more than I do. Yet you are still struggling with the side-effects. I feel bad for you and I have “survivor guilt”. I am so lucky. I am pysch drug free and have a new life. Reading your blog gave me the confidence to stay that way. 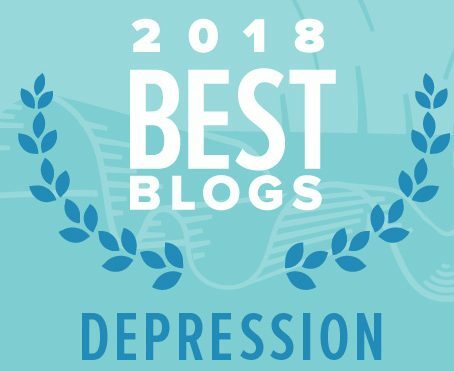 And blogging opened me up to a new world of support as it is so hard to find others in the real world who share the anti-psych med view or the recovery is even possible. ah! NG, we all struggle and I know you struggle still too…the struggle never ends…it is what makes us human!! I AM a survivor already as far as I’m concerned! when we stop living and learning that is the when we stop being a survivor…for now drugs or no drugs if we’re fighting to improve our lives and our spirits and helping others on that path we’re all survivors. And that includes people who have never been diagnosed…living is always about surviving…until we’re dead, of course!